The in the Garden kit is perfect for flower or gardening photos. 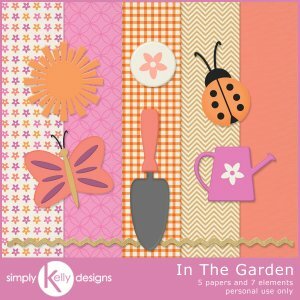 Elements include a lady bug, butterfly, gardening spade, watering can, sun and flower flair. NOTE: This was a freebie on my blog in August 2014. Please check your stash before buying.